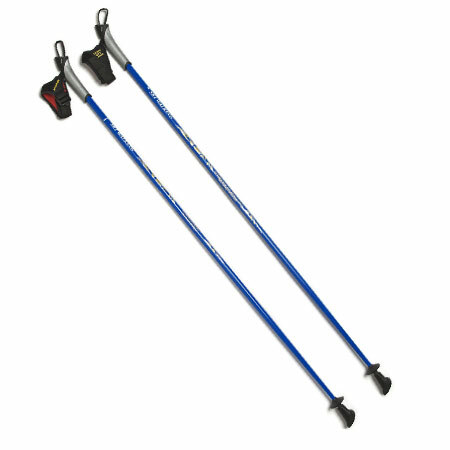 $69.95 per pair – The SWIX Nordic Ski Walking “VIP’s” are the #1 Selling Nordic Ski Walking Fitness Poles In The USA! The SWIX Nordic Walking VIP’s are also the #1 Nordic Ski Walking poles in customer satisfaction for all ages and all fitness levels. All 32 lengths are in stock and ready to ship – FAST shipping. The SWIX Nordic Walking VIP Poles have been successfully used by thousands of Americans in Nordic Walking Clinics all across the USA. 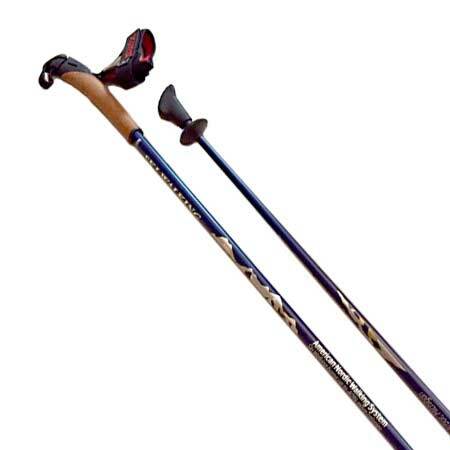 These quality one-piece Nordic Walking poles are custom manufactured exclusively for The American Nordic Walking System and WWW.SKIWALKING.COM in Lillehammer, Norway. All SWIX VIP Nordic Walking Poles include comfortable patented Nordic Walking straps (these straps retail for $40 -$50 in Nordic Ski Shops), durable carbide metal tips (for snow, ice, beach, grass + trail) and natural rubber Nordic Walking fitness tips/asphalt paws (for pavement, other hard surfaces & indoor use). We also include a FREE Nordic Walking DVD and user-friendly printed Nordic Walking instructions from The American Nordic Walking System. 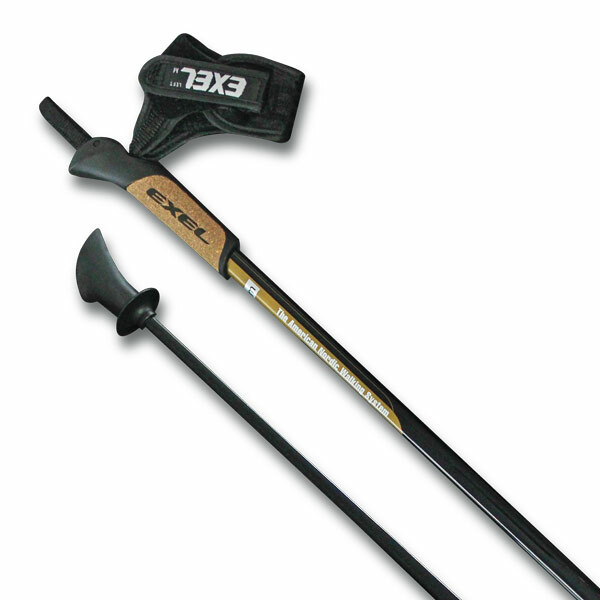 REAL Nordic Walking Poles – sized specifically for each individual’s height. 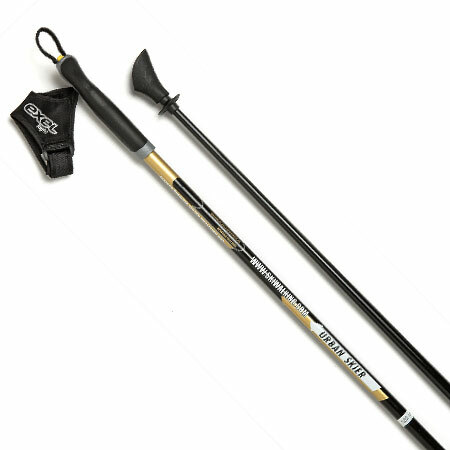 These quality one-piece Nordic Walking poles are safer, lighter and much more durable than cheap/flimsy 2-piece and 3-piece twist-lock and flip-lock adjustable length poles flooding the market from China that tend to rattle, vibrate and/or collapse unexpectedly. Perfect length poles trick us into walking with a super straight back – better walking posture is biomechanically a good thing. 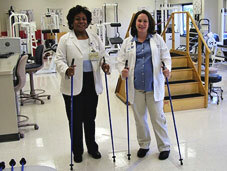 This improved walking posture when combined with the unique 4-Wheel-Drive type action of walking with Nordic Walking Poles radically reduces the stress to the shins, knees, hips, and back. Nordic Walking is low impact and yet provides a highly effective workout – burning more calories and working more muscle groups than regular walking. 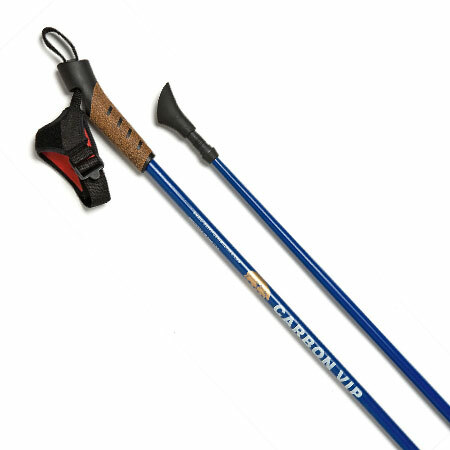 The Nordic Walking VIP’s are user-friendly, quality Nordic Walking Poles.